Imitation Game star, Benedict Cumberbatch is officially off the market after getting married to theater director Sophie Hunter on Valentine’s Day. The couple wed in a ceremony on the Isle of Wight. A Cumberbatch spokeswoman said on Sunday that the couple had married over the weekend, surrounded by family and friends. One of the best look-alikes out there today! 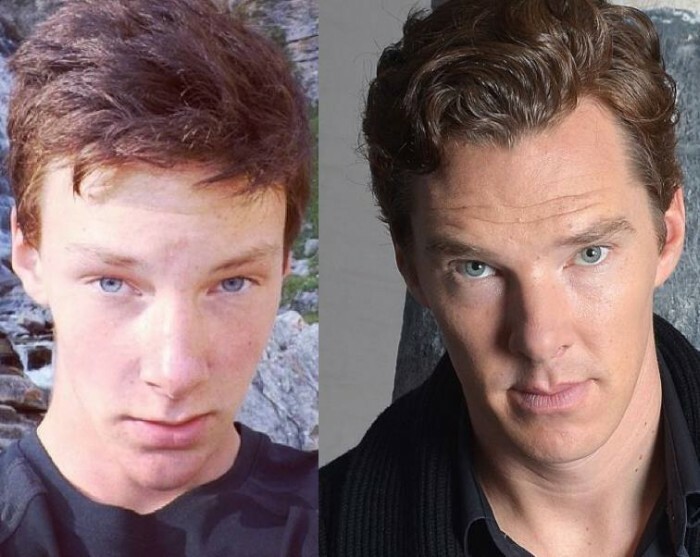 This kid is only 16, but now he can look forward to a lifetime of folks confusing him for actor, Benedict Cumberbatch! 100% certified doppelganger! Unless he’s actually the actor’s illegitimate son! Talk about spitting image! Daddy!